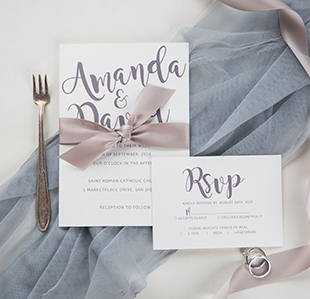 Shipping is $15 to United States, Canada when you place an order of wedding invitations. We can ship to other countries as well, such as Australia, New Zealand, UK, Ireland, France, Germany, etc. If you are from another country outside of US and Canada, then $25 will be added to your order as shipping fee automatically when you place the order. We will try our best to accommodate your schedule. After reviewing details of your order, we will let you know whether it can be completed within your requested time frame. And we will charge extra $20 for rush order. 8. How long does it take for me to receive my dress after I place my order? In order to ensure that your items arrive in time for your event, please use the following calculation to determine the estimated date you' ll receive your order: (Processing Time) + (Shipping Time) = Estimated Delivery Time. Shipping Time: the period of time from when the item be shipped by FedEx/UPS/DHL to when it arrives at your door. It usually takes about 2-3 working days. Estimated Delivery Time: The total period of time from when you confirm all details to when you receive your dress. 9. Do you offer rush order service?